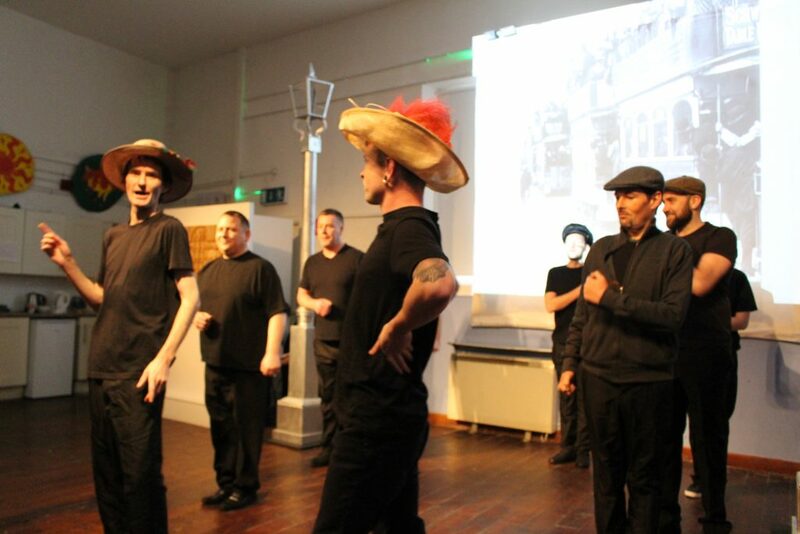 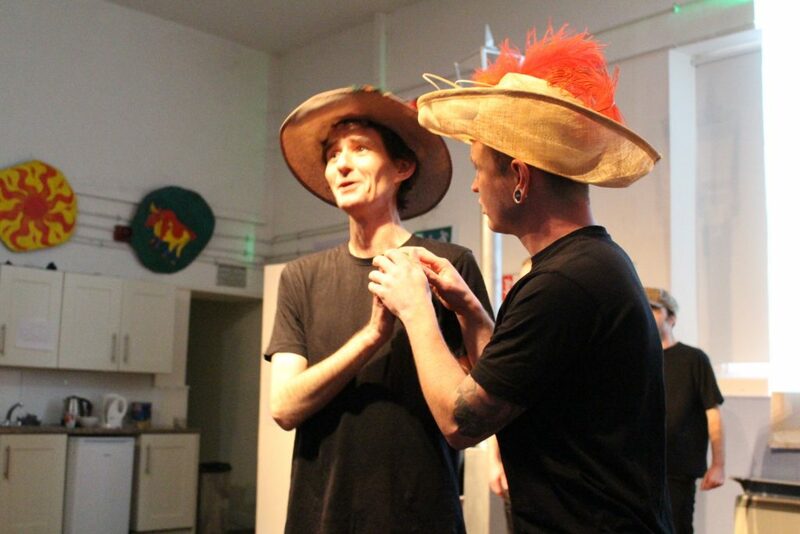 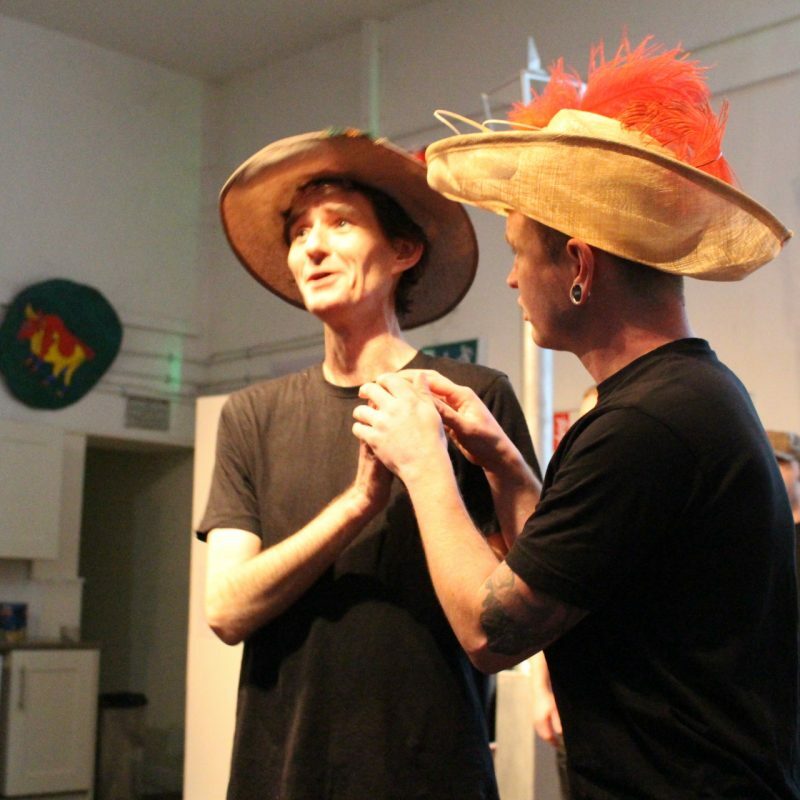 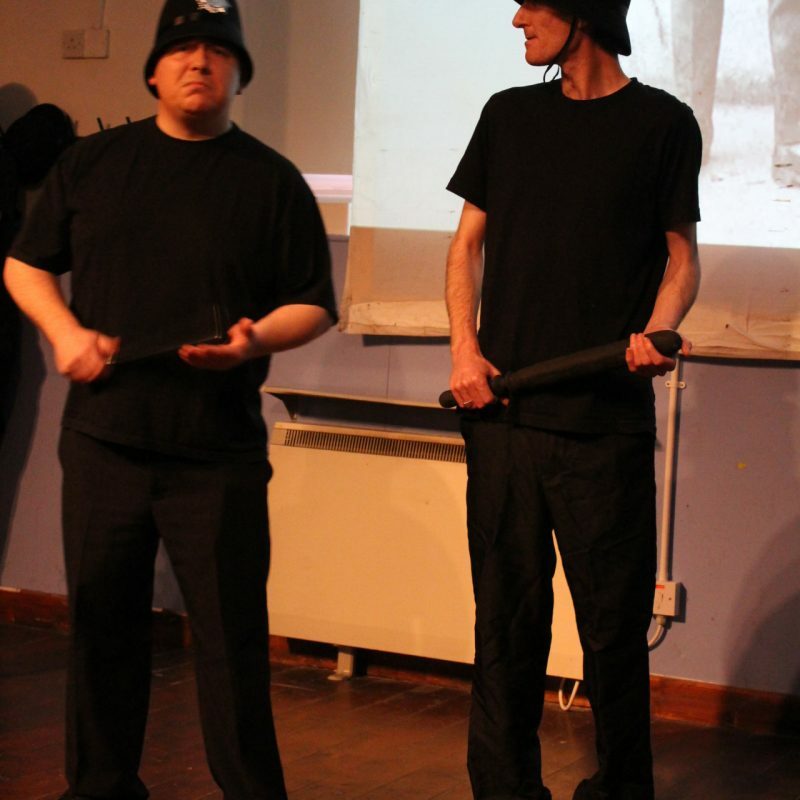 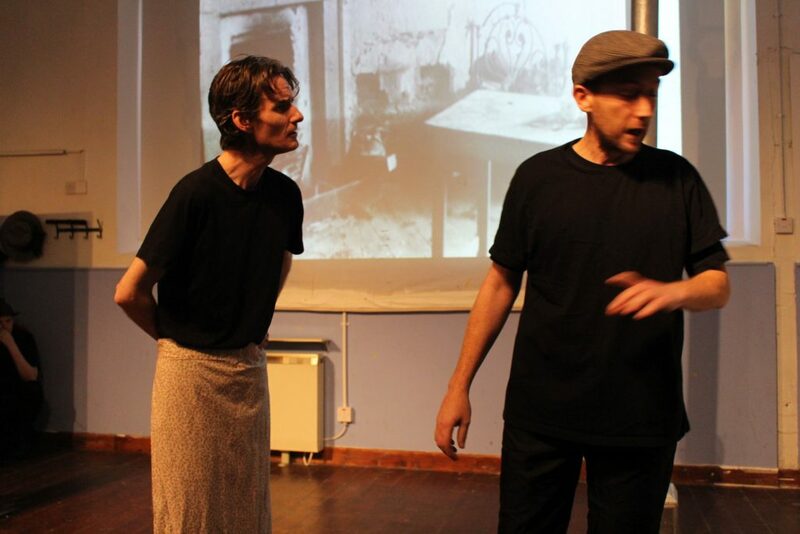 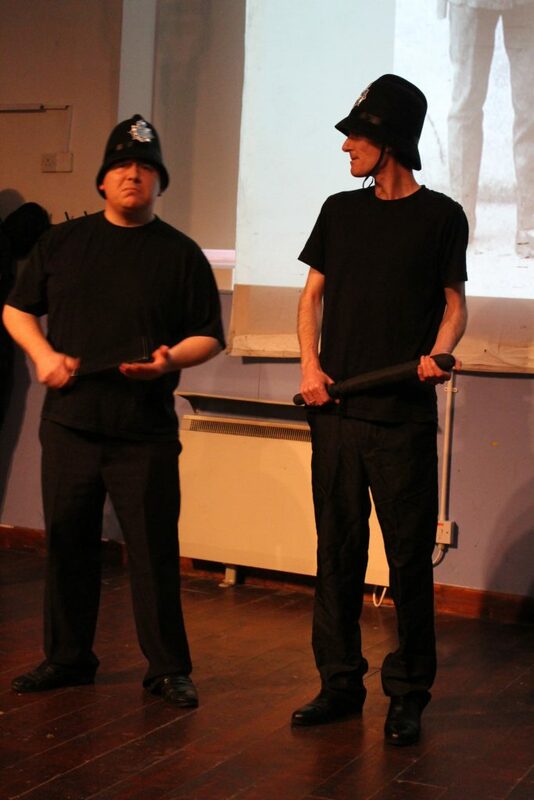 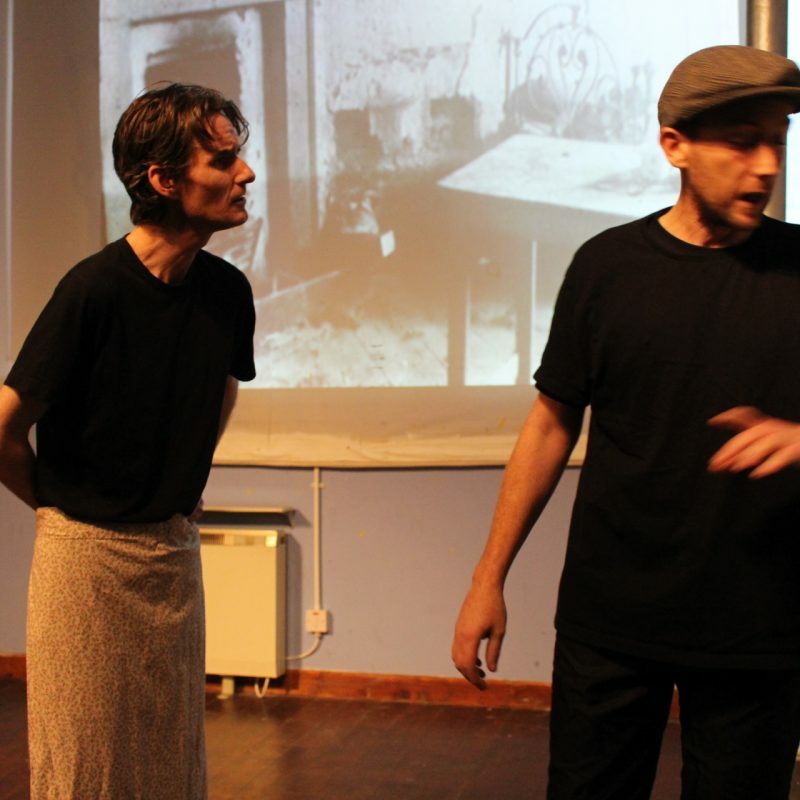 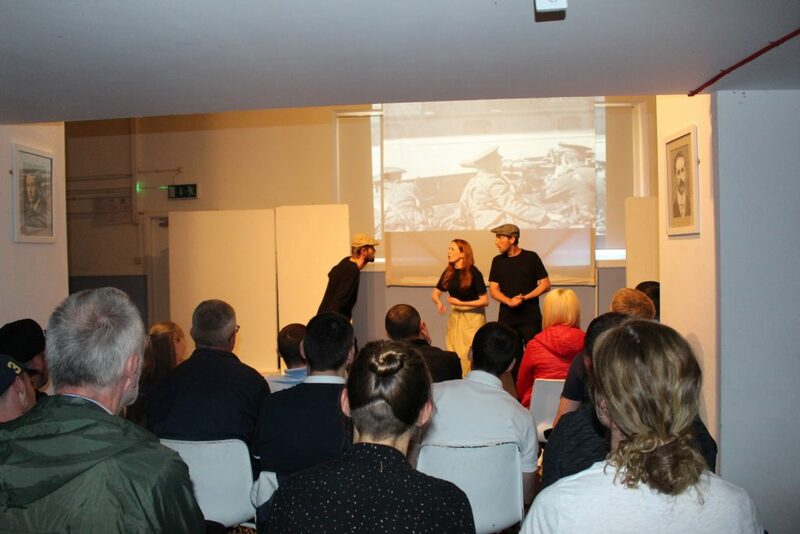 Invited audiences watched many new participants take to the stage to perform our acclaimed play A Hundred Years Ago. 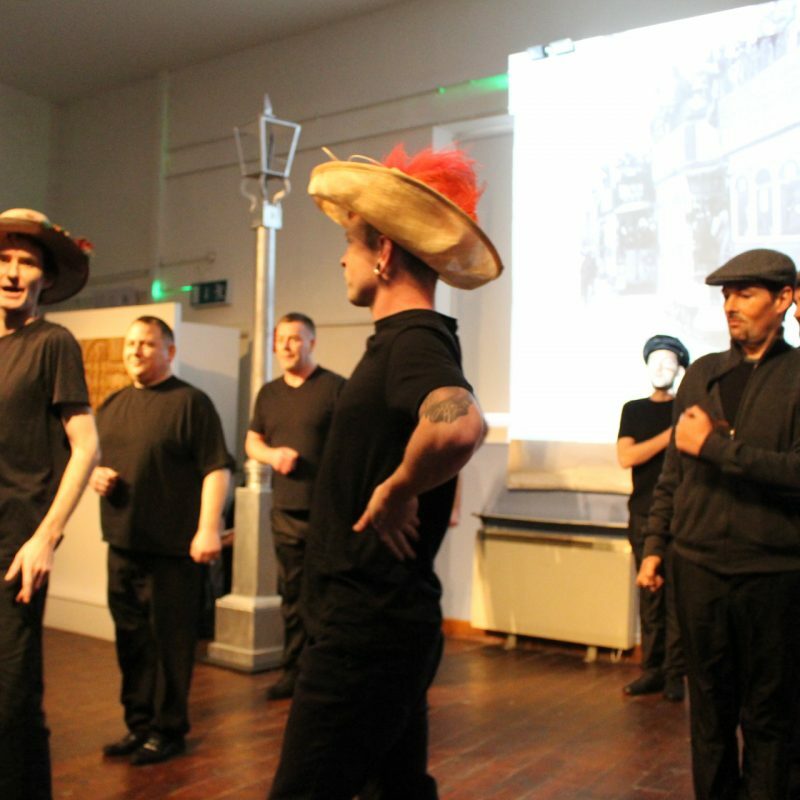 Participants sang, danced and acted for this production. 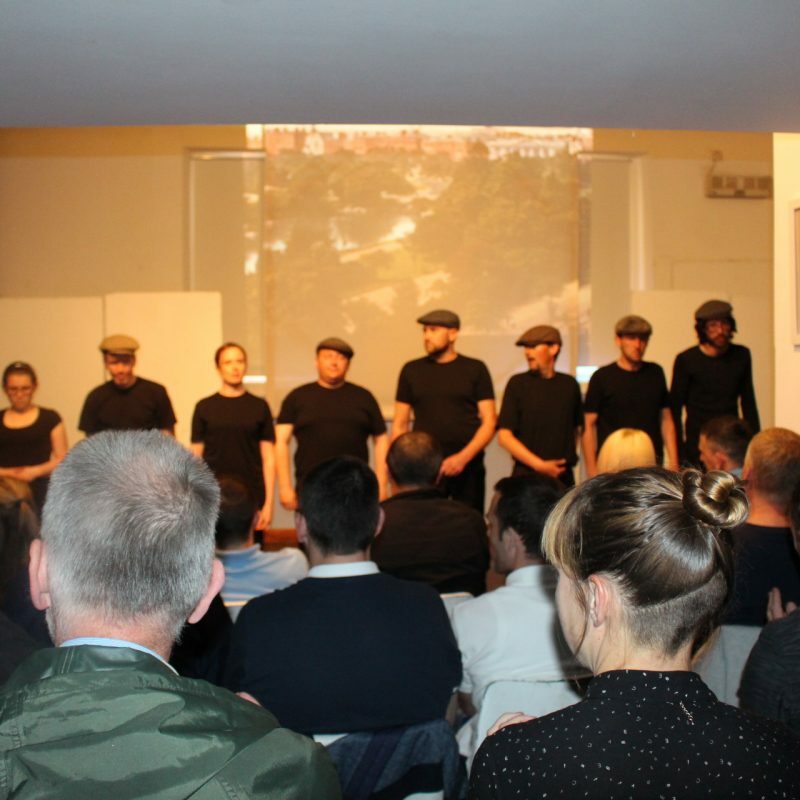 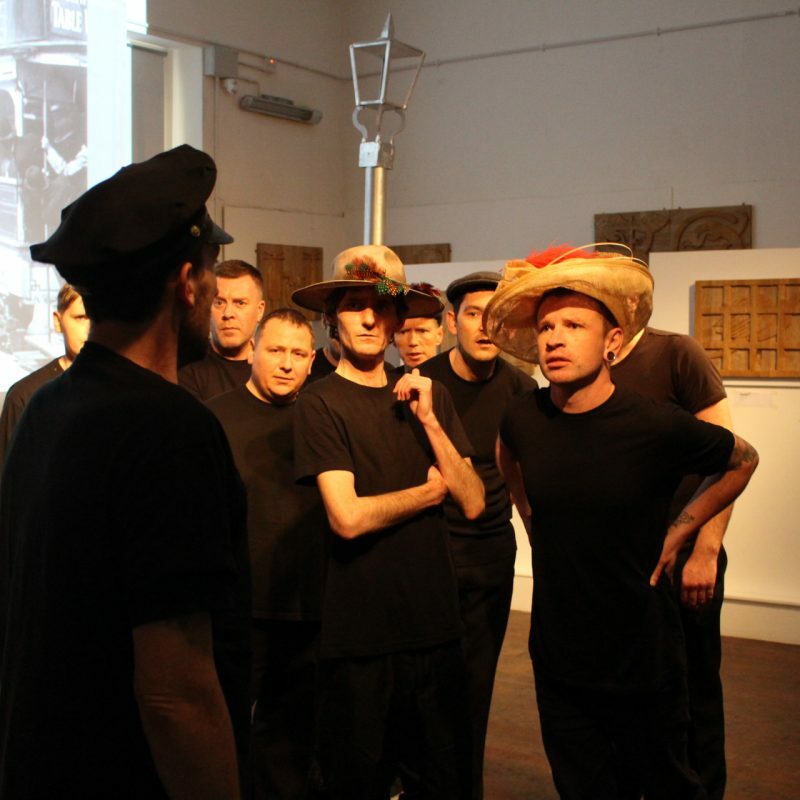 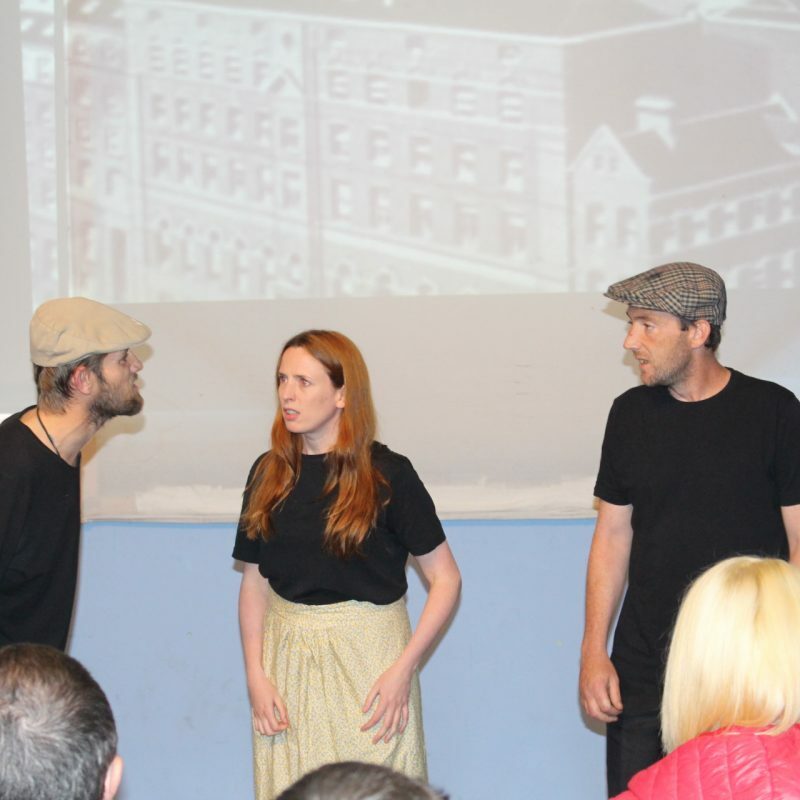 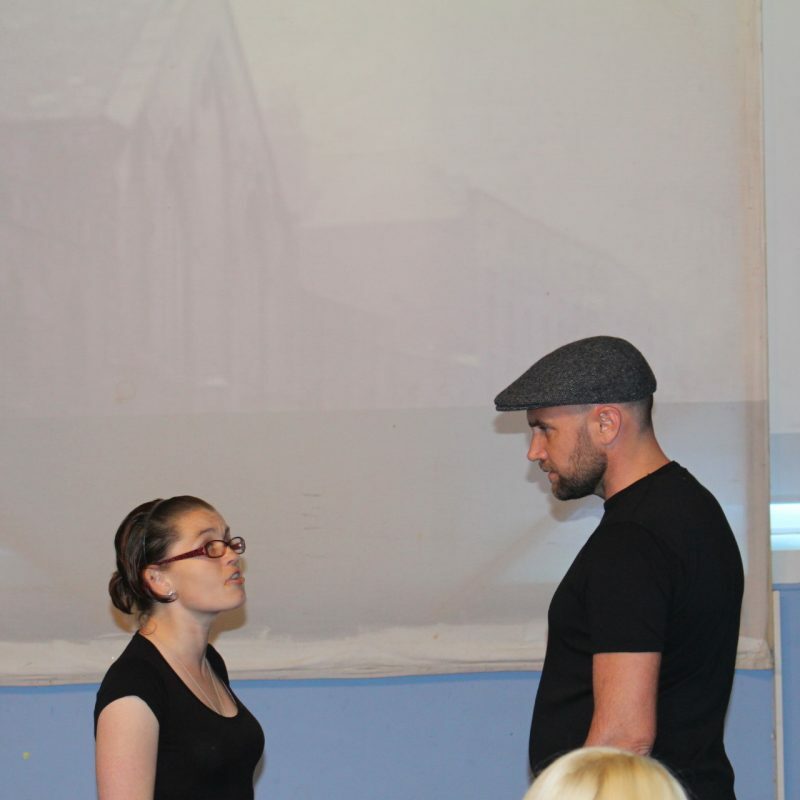 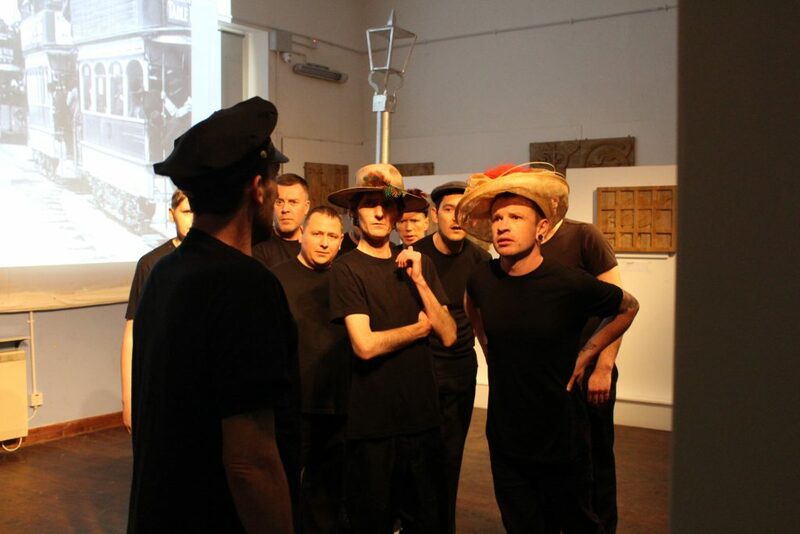 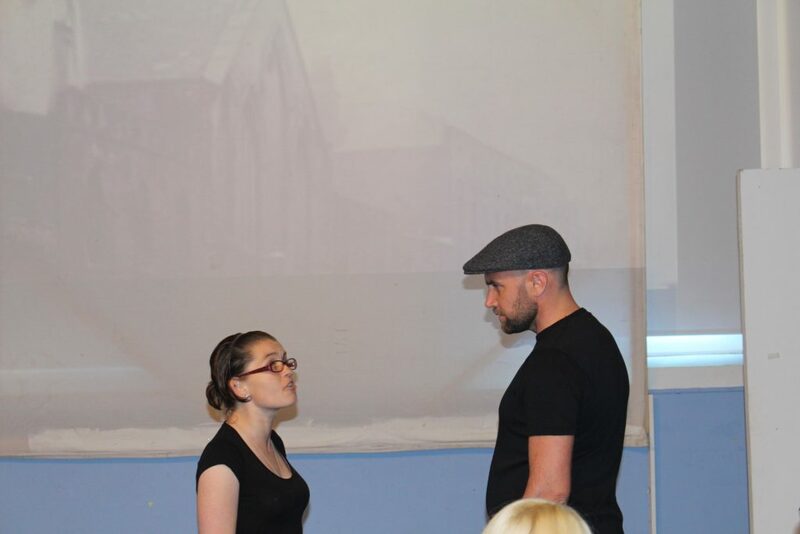 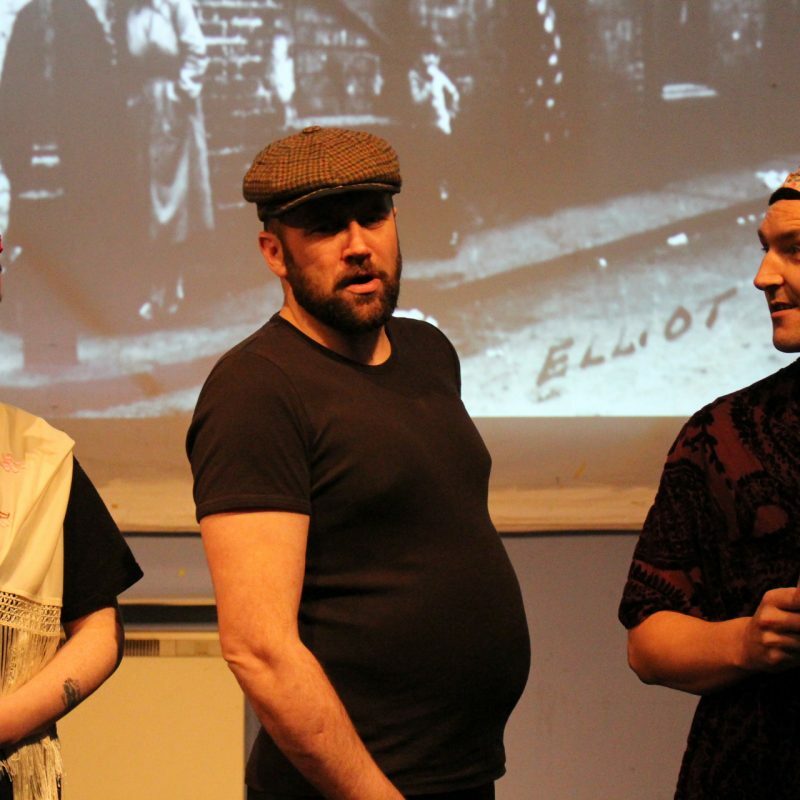 The play explores the dramatic events that evolved through the autumn of 1913 when ordinary workers took a stand with Jim Larkin against the employers of Dublin city and the subsistence wages that held them in slavery. 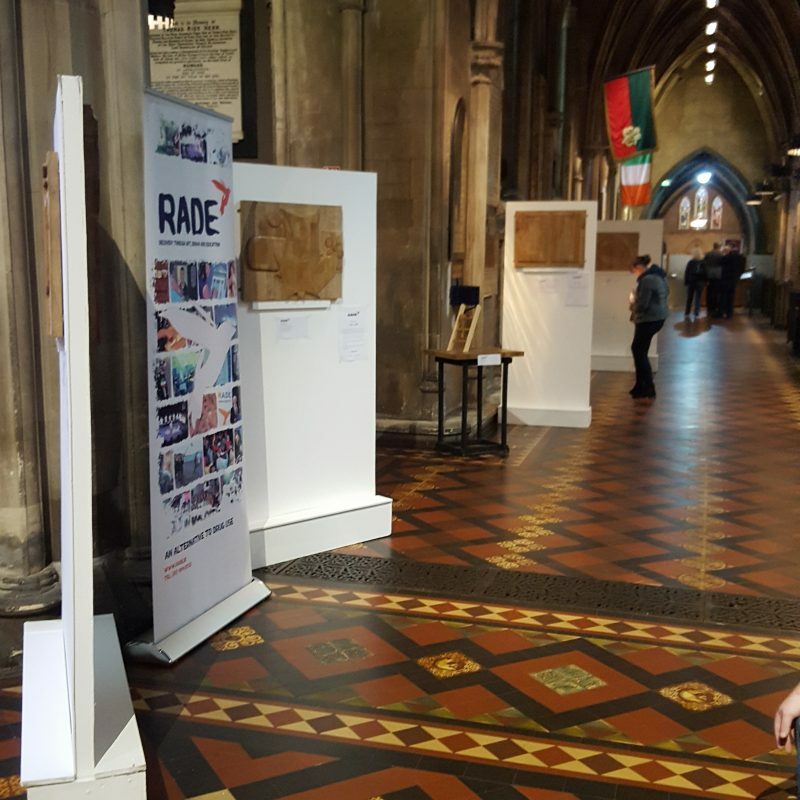 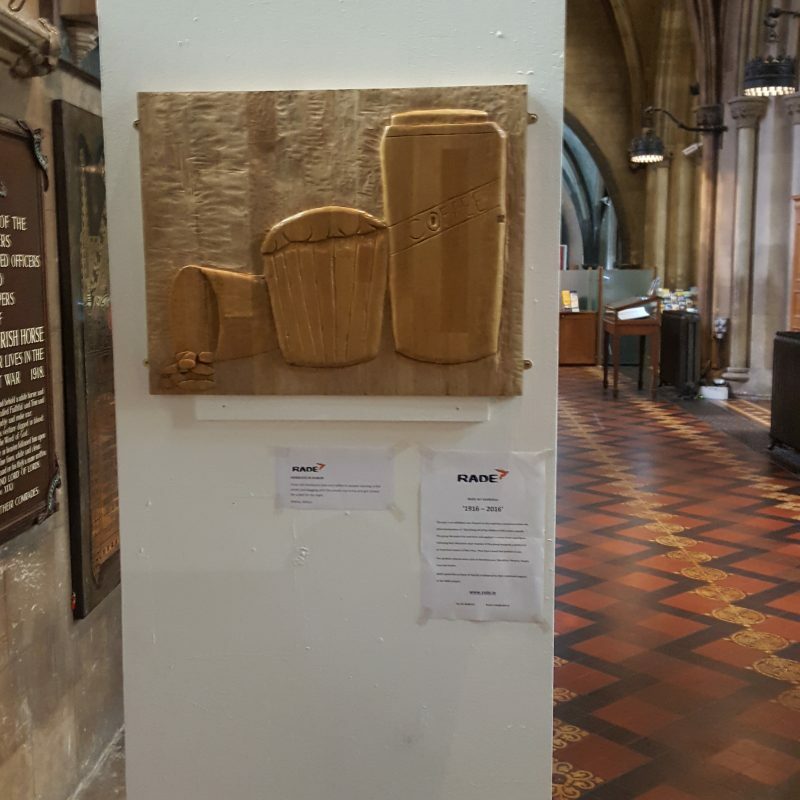 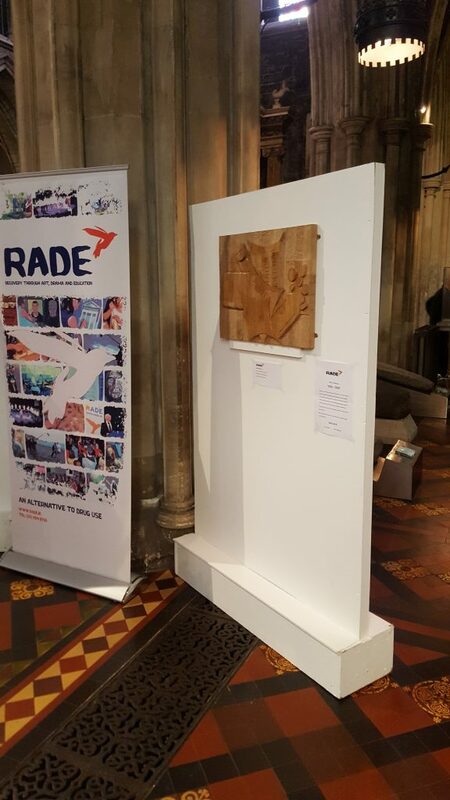 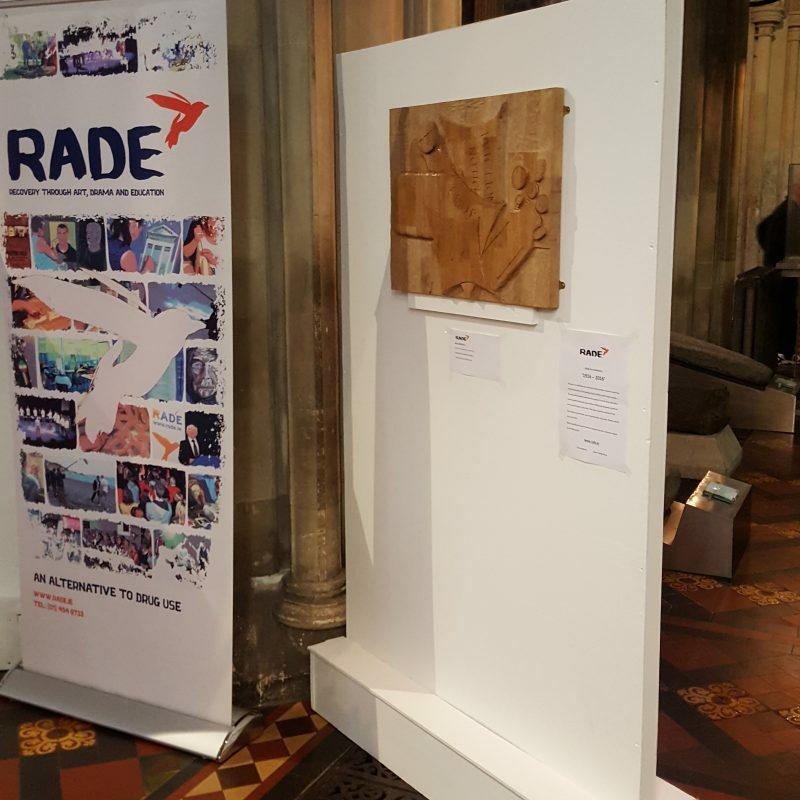 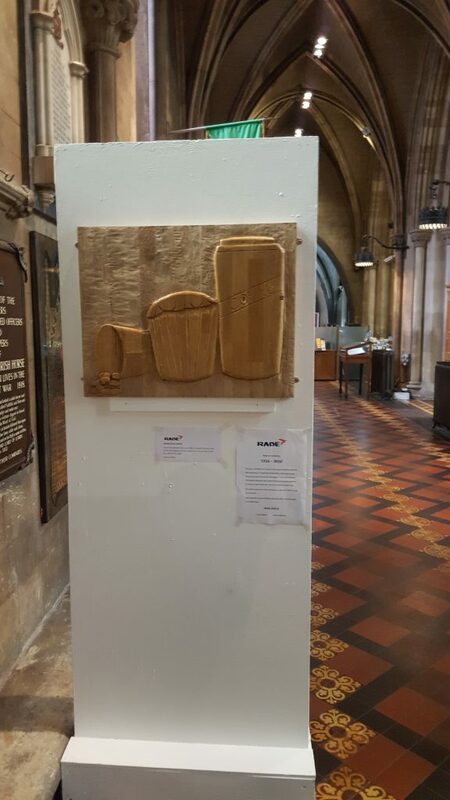 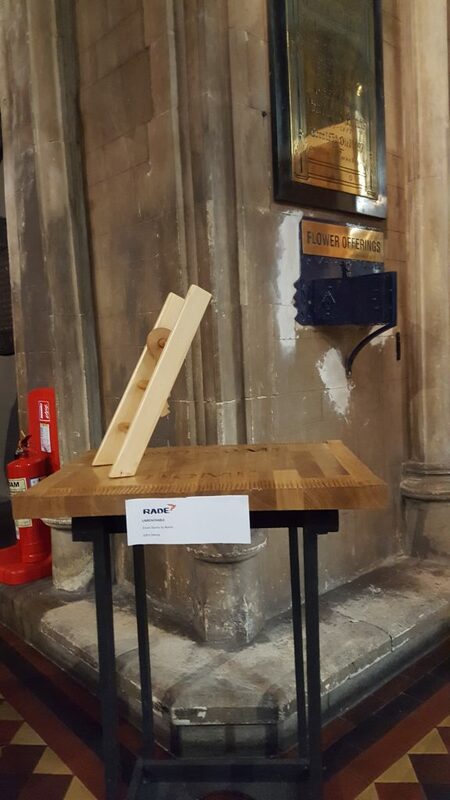 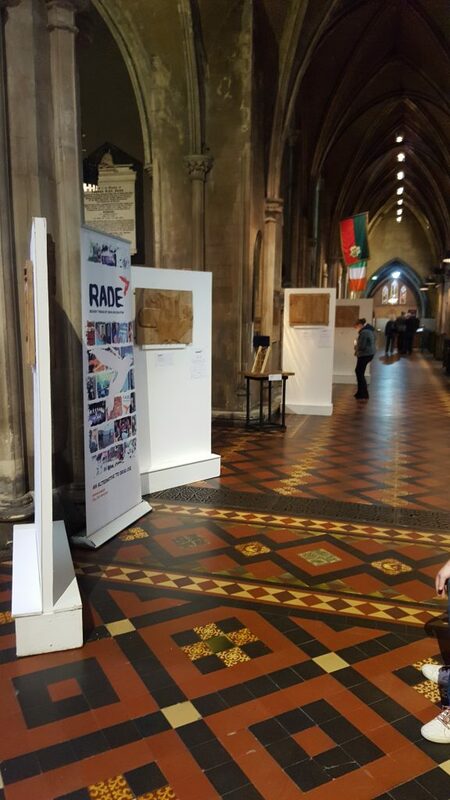 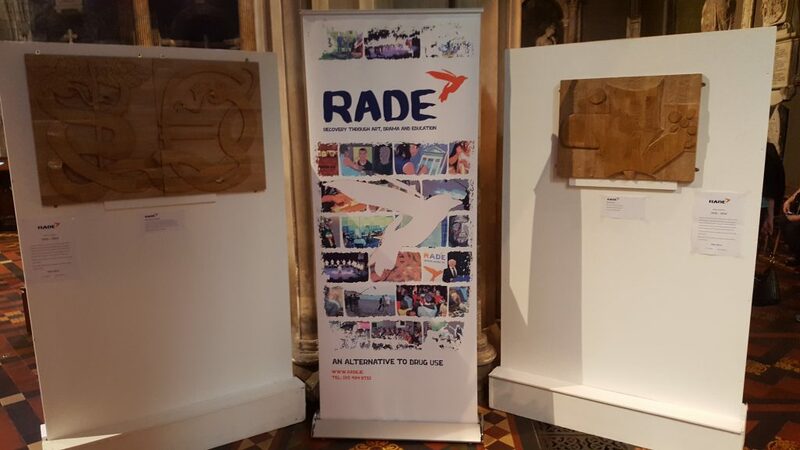 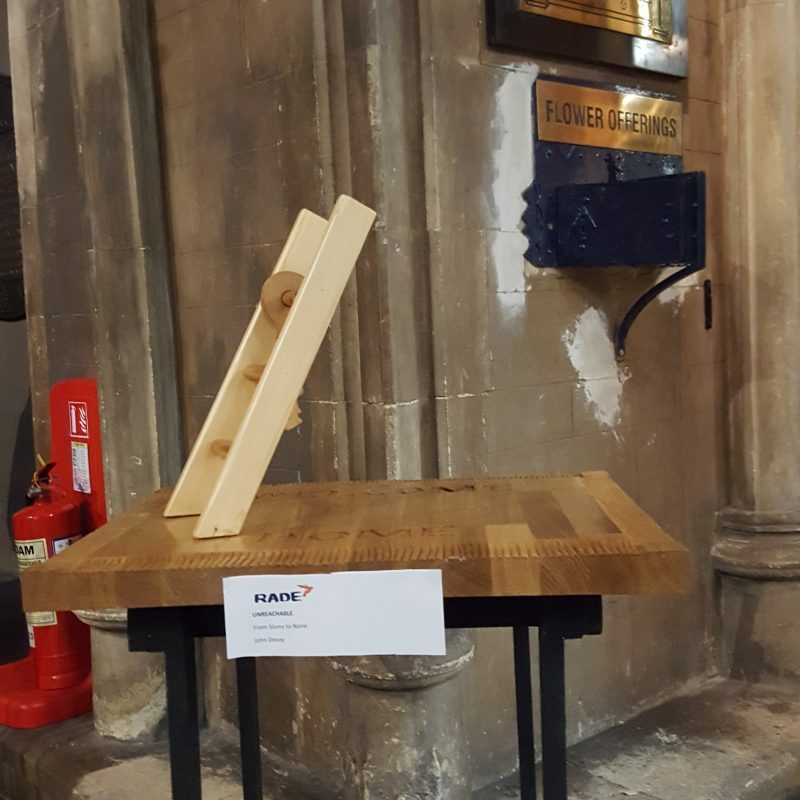 RADE’s recent exhibition of Oak wood sculpture was also on display. 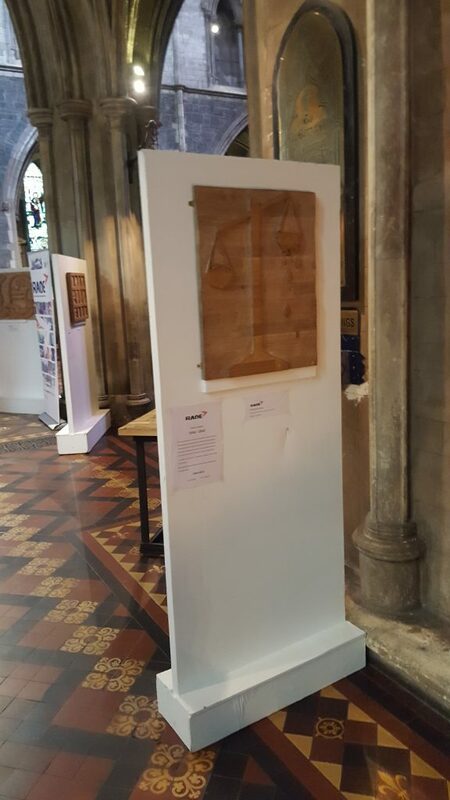 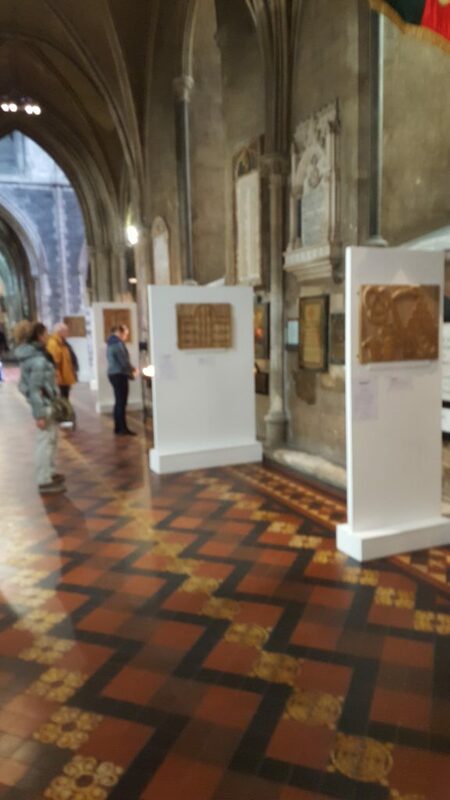 The carving by participants are reflections of their thoughts on 1916 to 2016. 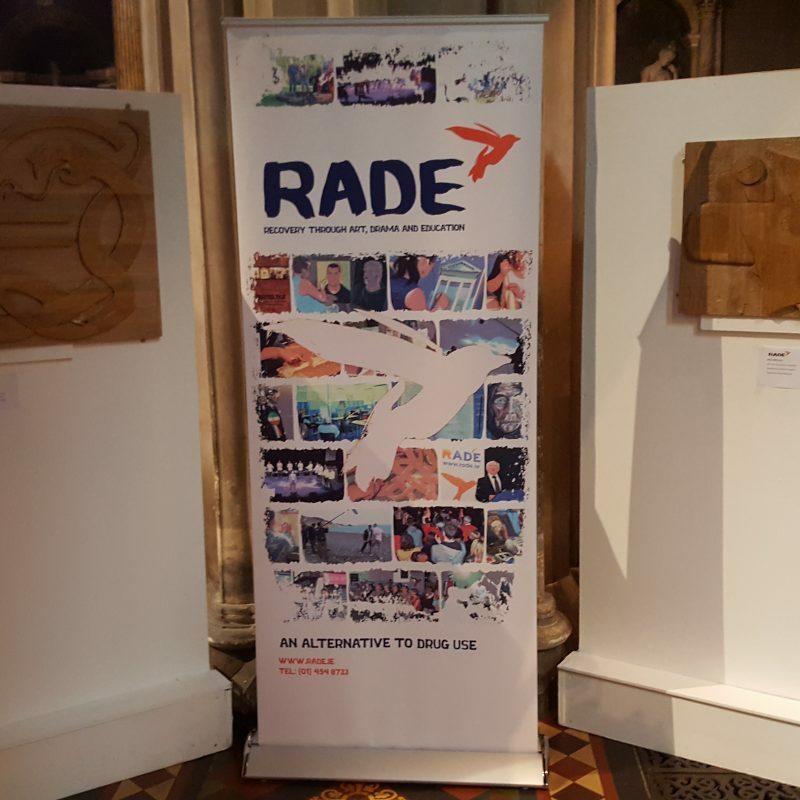 The comic novel contains stories from RADE’s graphic novel workshops in 2016. 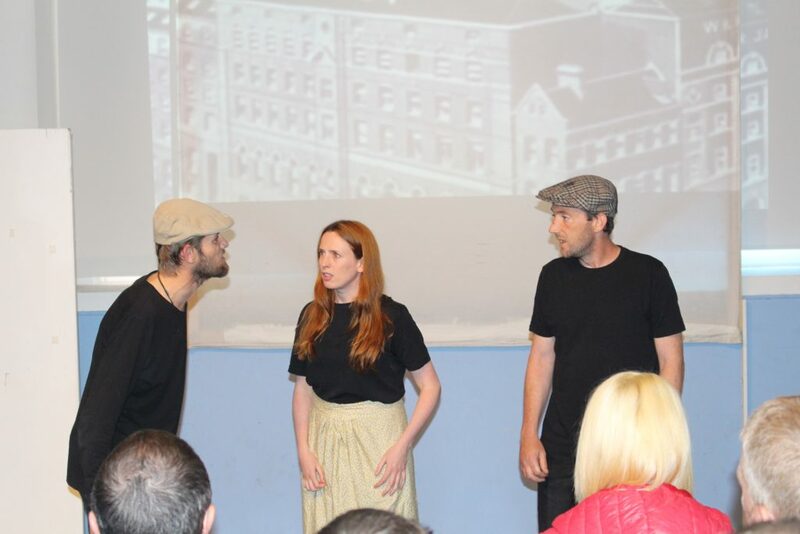 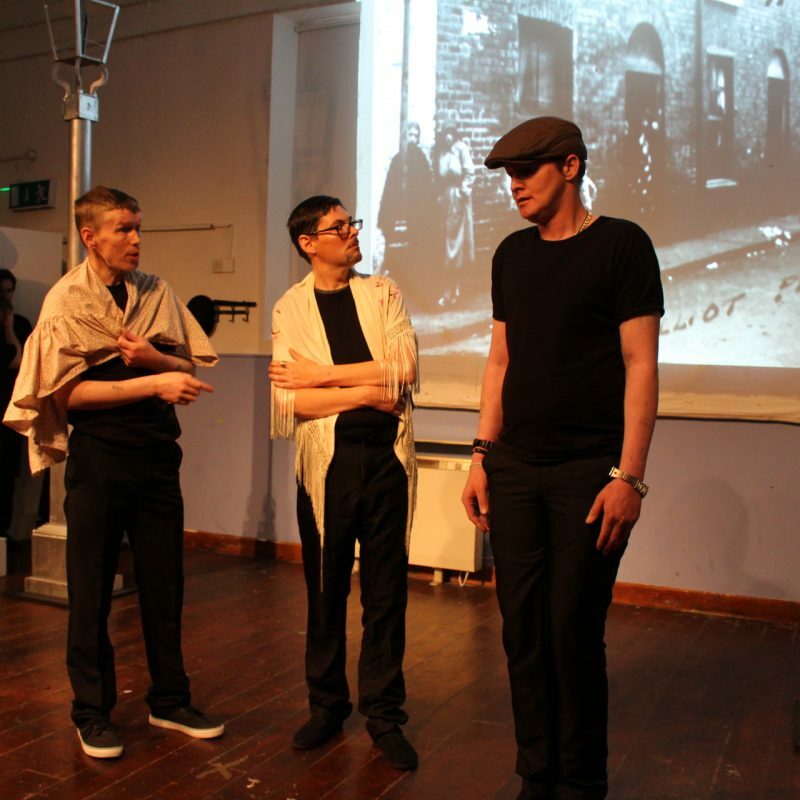 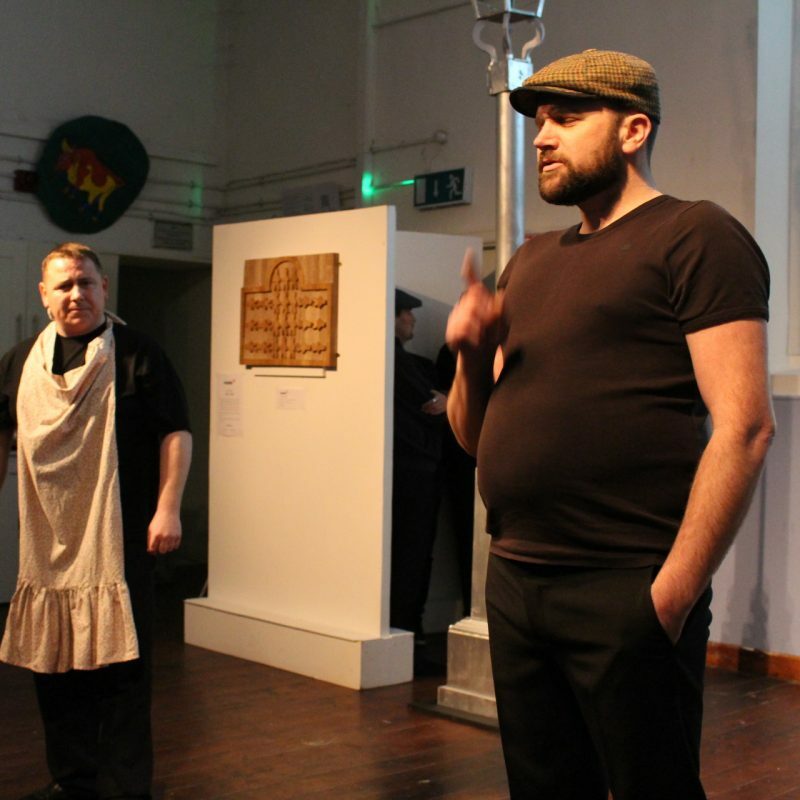 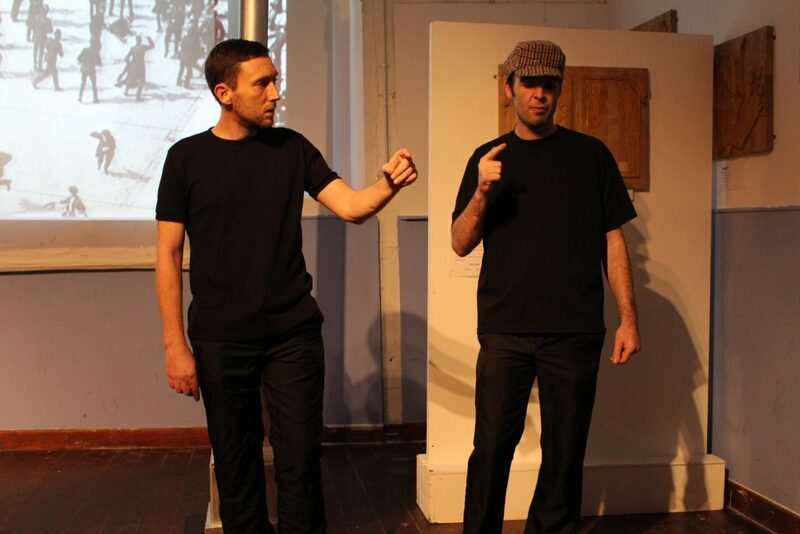 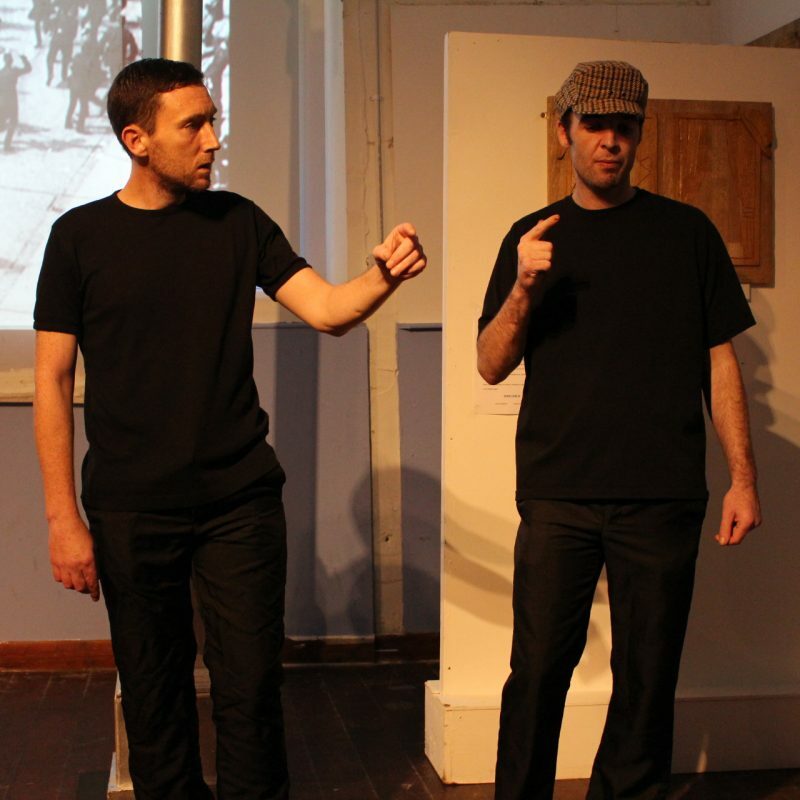 The launch coincided with the revival of A Hundred Years Ago, RADE’s acclaimed play surrounding the events of the 1913 Lock Out in Dublin. 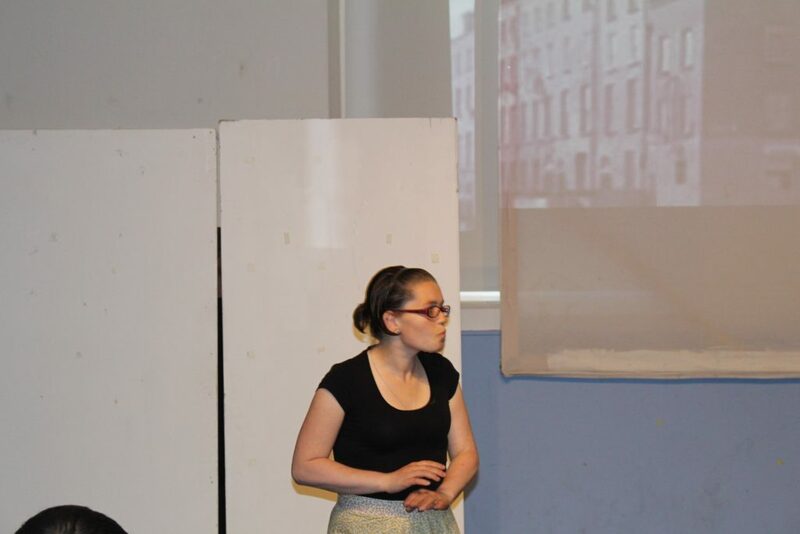 Senator Lynn Ruane attended the performance and provided words of enjoyment and support afterwards. 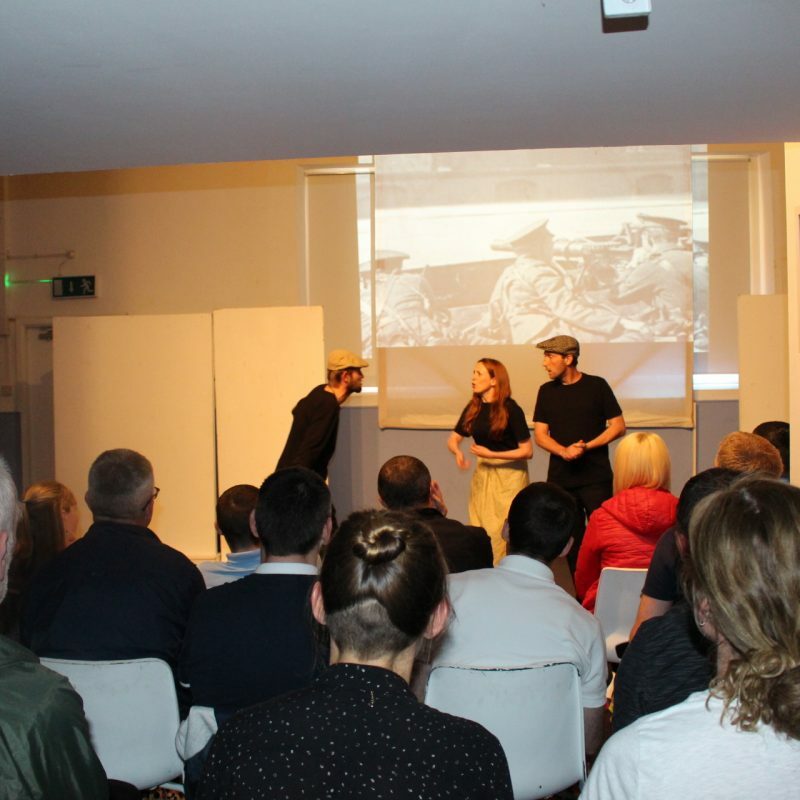 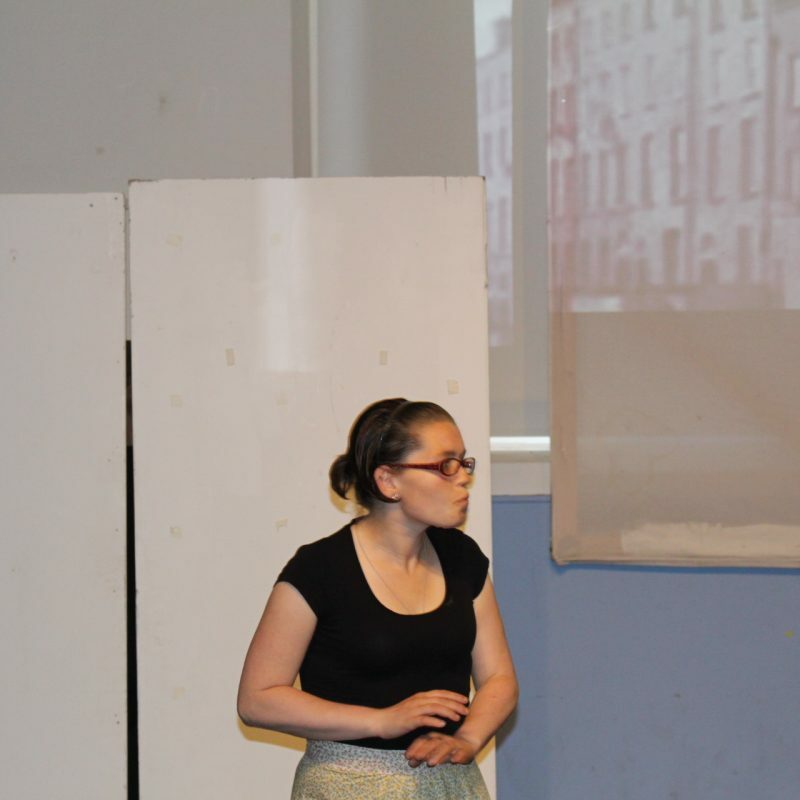 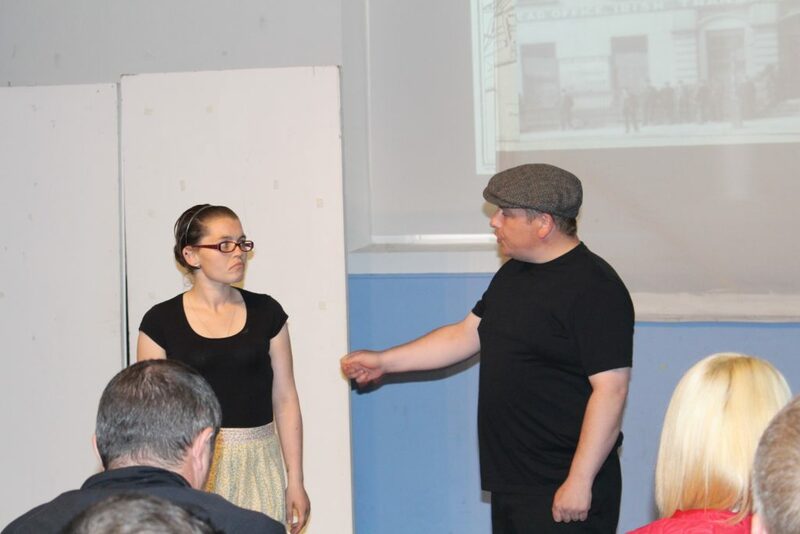 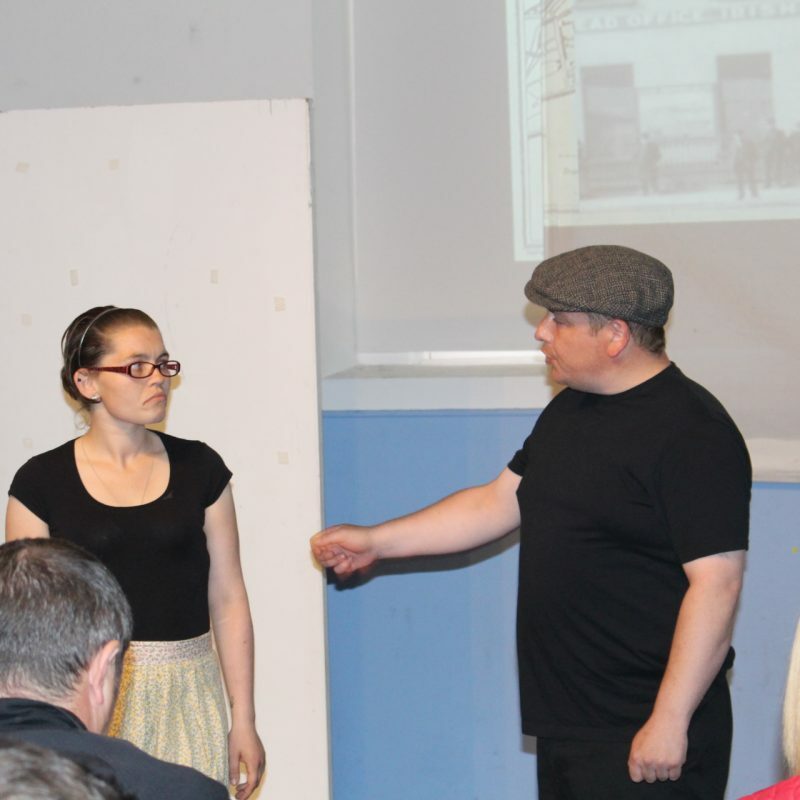 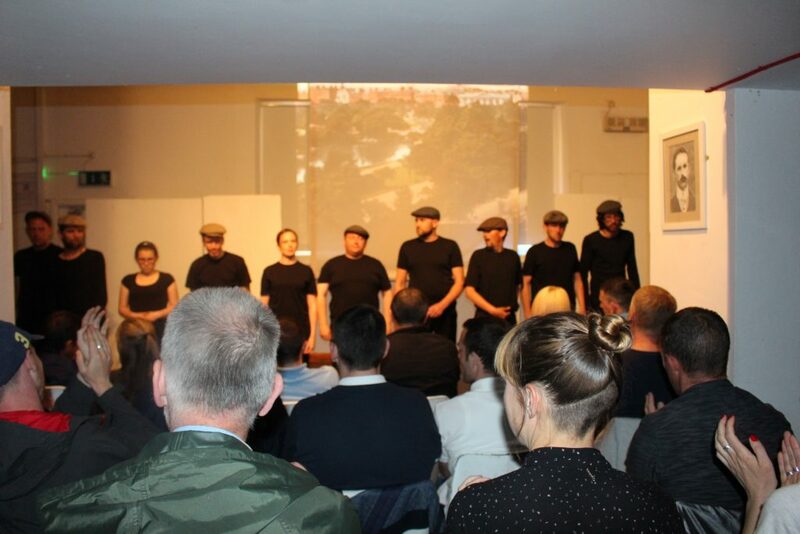 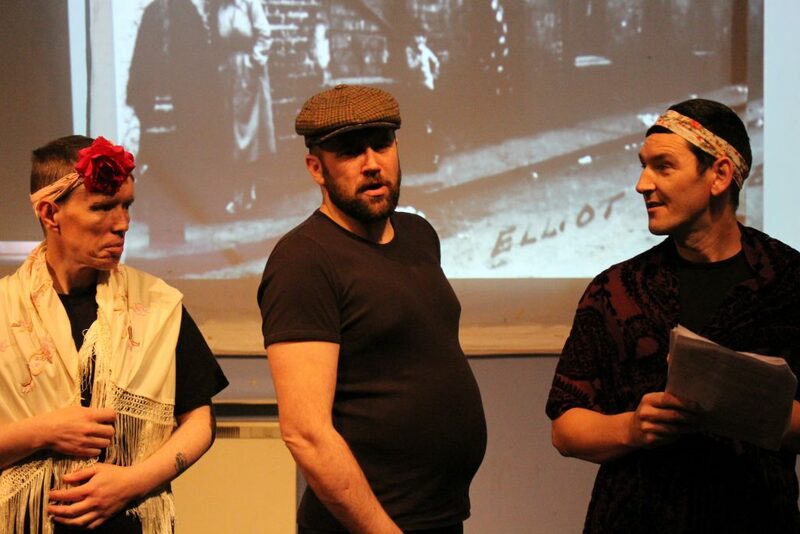 Over 2 days participants presented ‘1916 Kids’ to a full house. 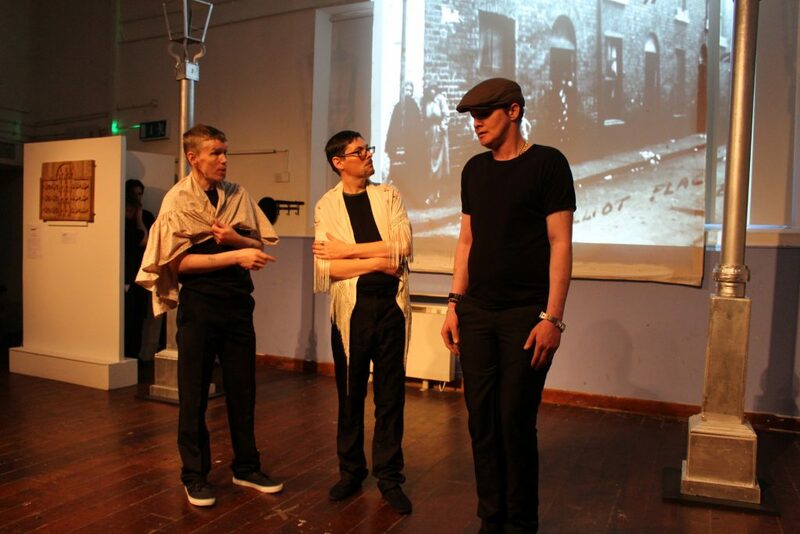 Participants spent the majority of 2015 researching the 1916 Rising. 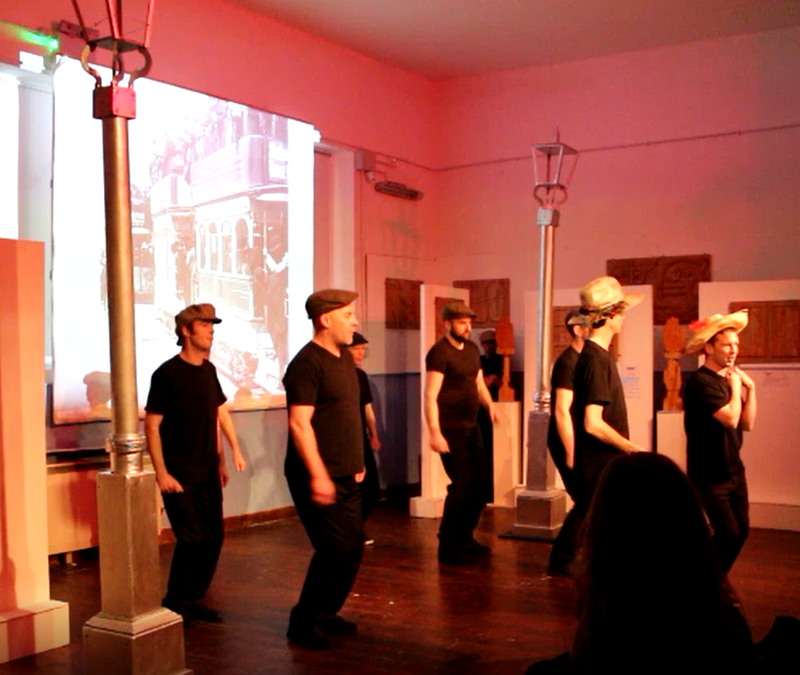 The production involved performances from many newcomers. 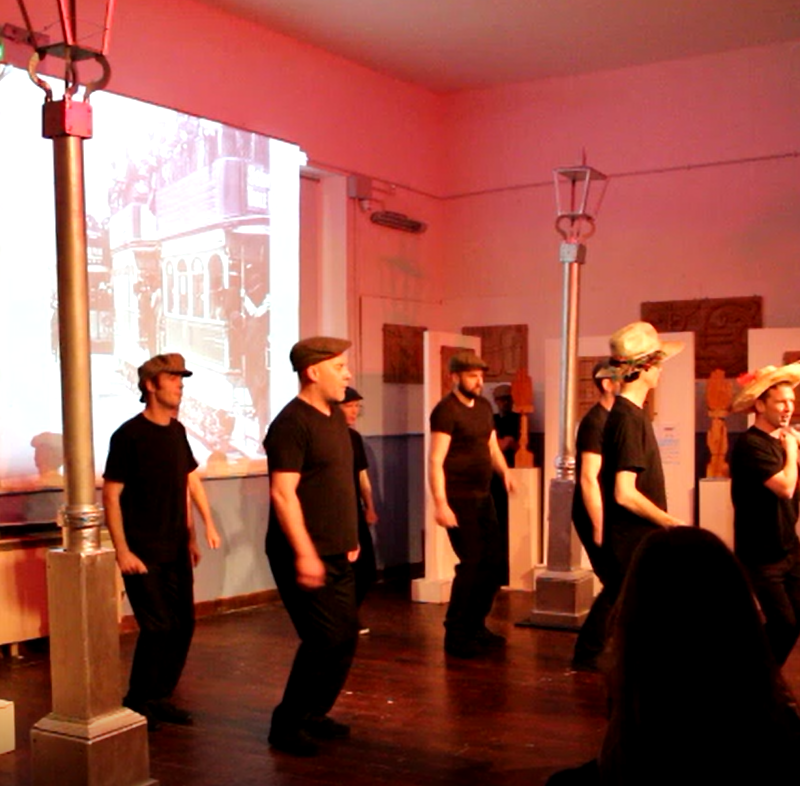 Tommy KD opened the show with a rap about the Rising. 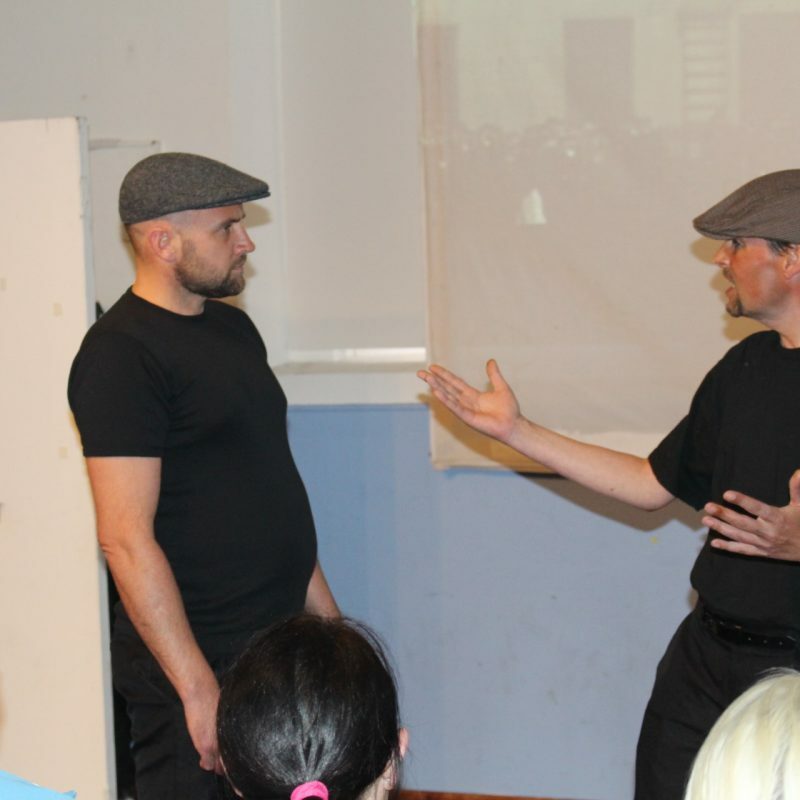 Watch a short video from production above. 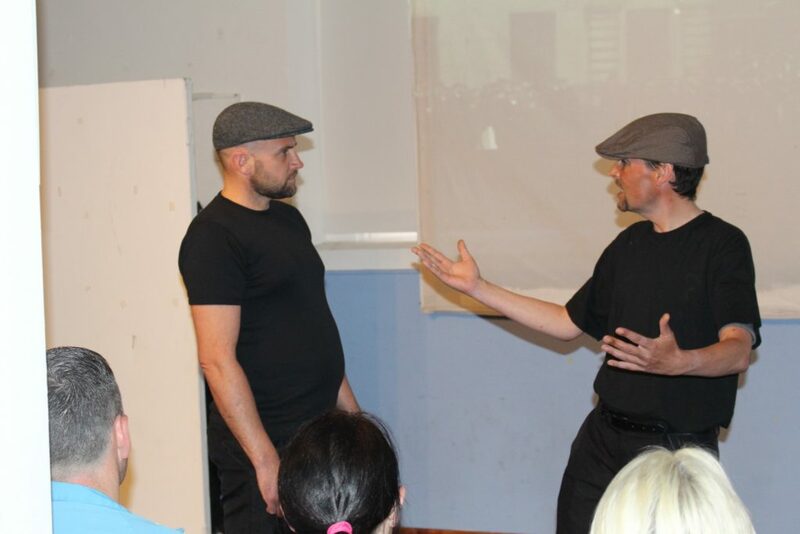 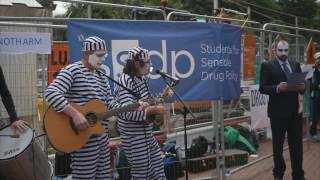 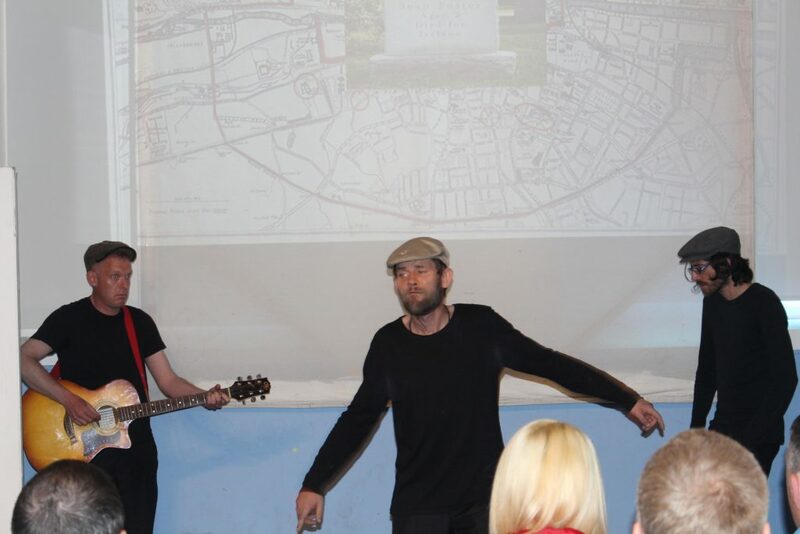 This was RADE’s first live street theatre performance. 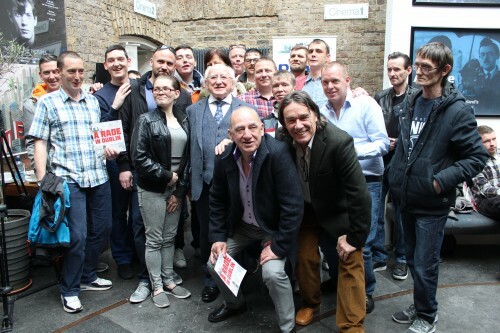 We were asked to partake in the awareness campaign by students from University College Dublin. 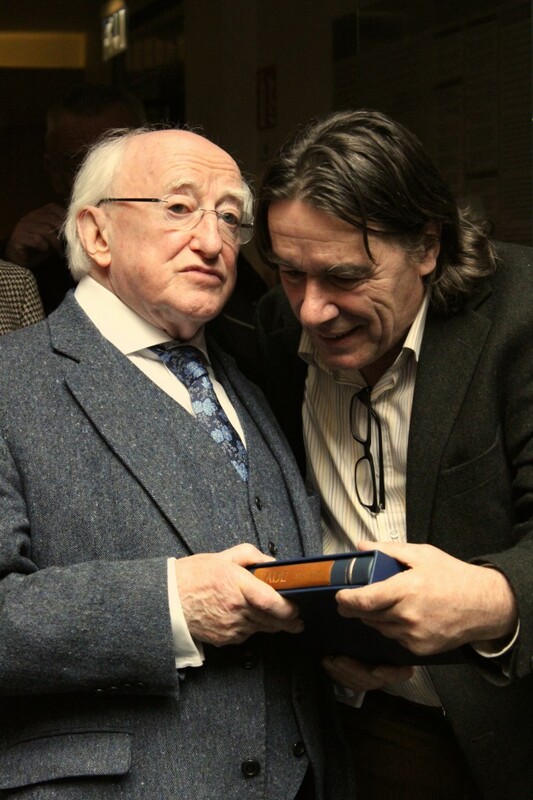 to brighten up your world! 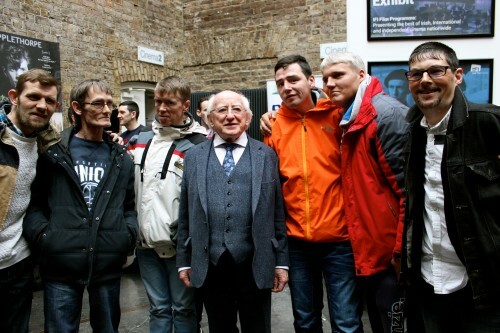 We are currently rotating our various art exhibitons throughout many projects in Dublin. 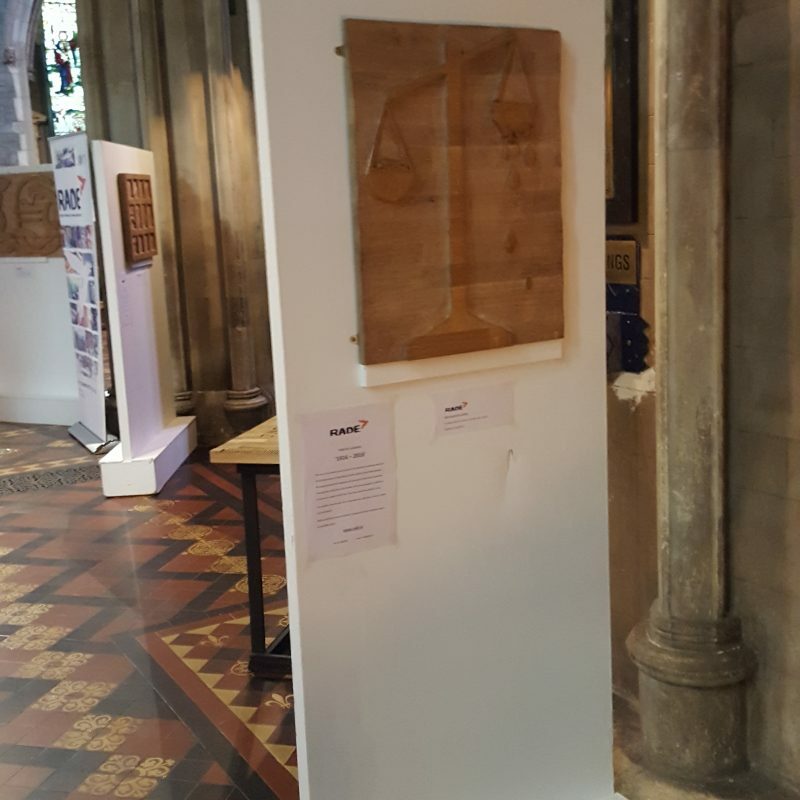 All you need is some exhibtion space and for a small fee we will supply, fit and rotate previous and current participants art creations. Currently we are offering this service in Coolmine Therapeutic Community, Ana Liffey Project, Merchants Quay Ireland and Rialto Community Drug Team in St. Andrews. 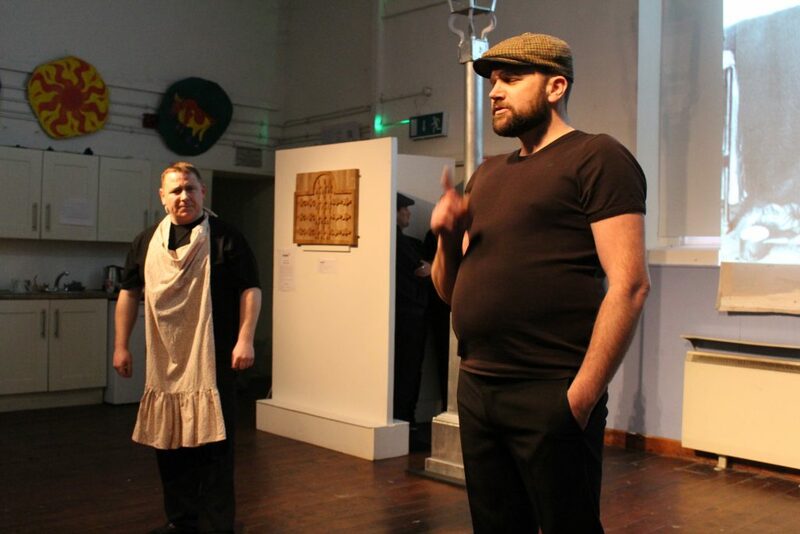 Contact Eoghan on 01 4548733 for further details. 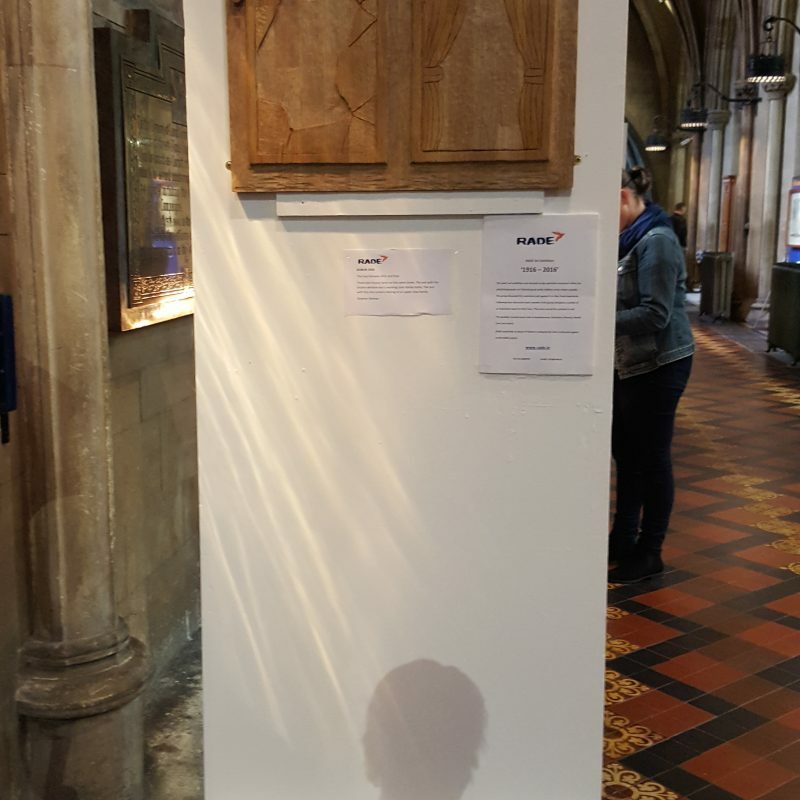 took place from Monday 3rd Oct to Wednesday 19th Oct 2016. 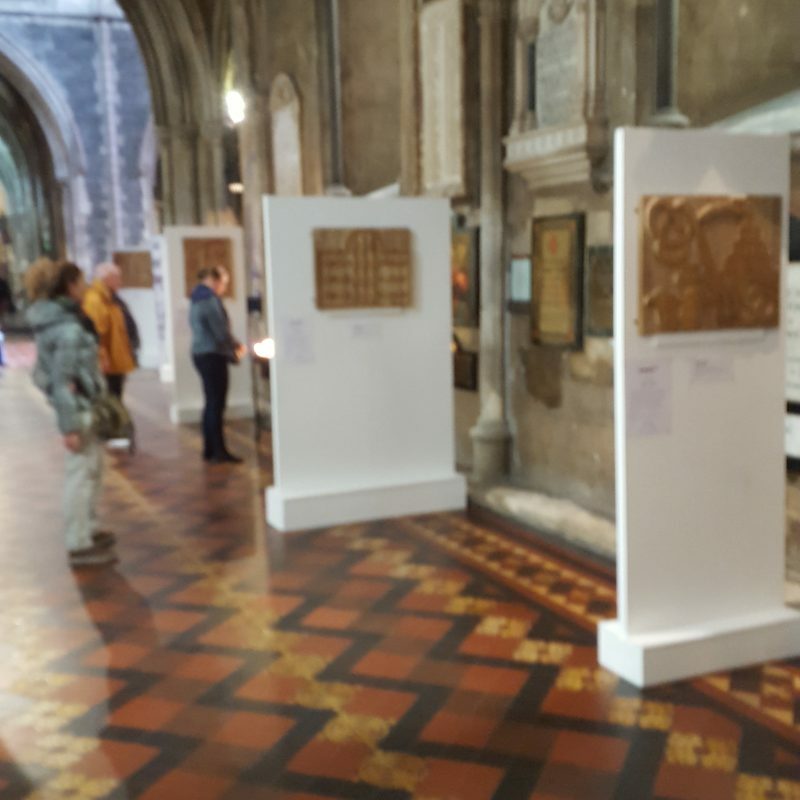 The exhibition was themed on the aspiration contained within the 1916 Proclamation of “Cherishing all of the children of the nation equally…”. 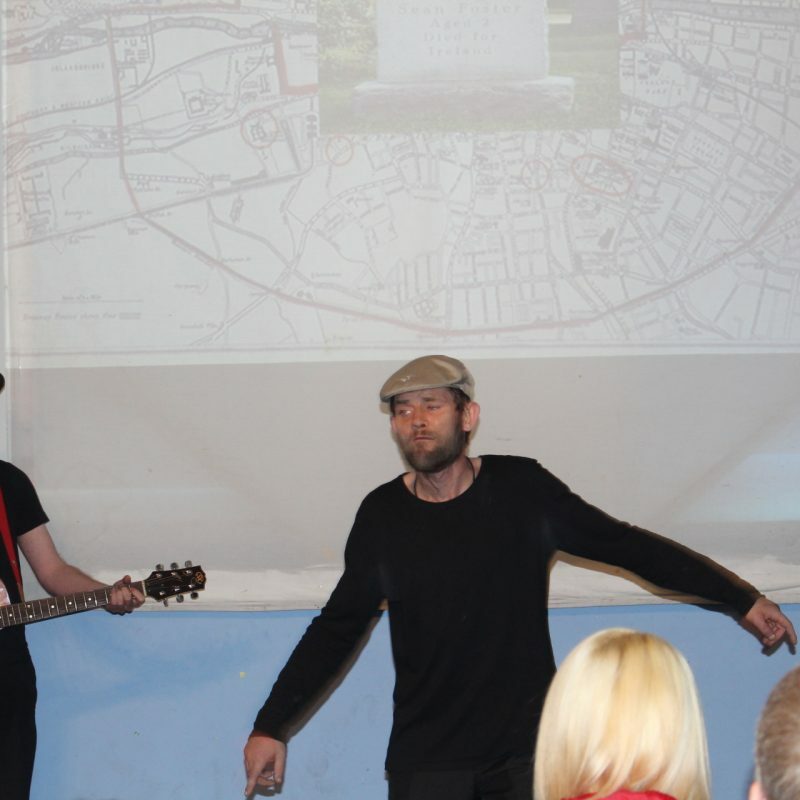 The group discussed this aspiration and applied it to their lived experience. 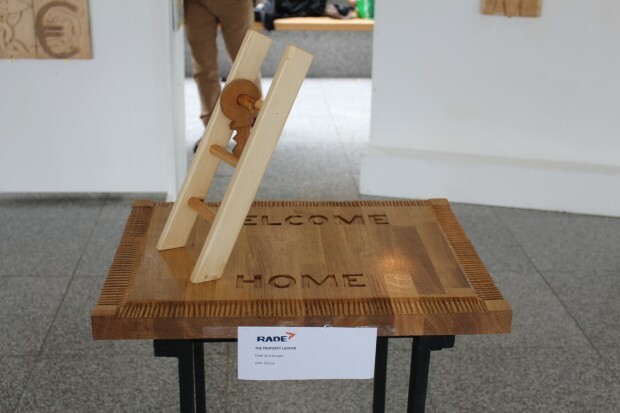 Following their discussion each member of the group designed a symbol of an important aspect to their lives. 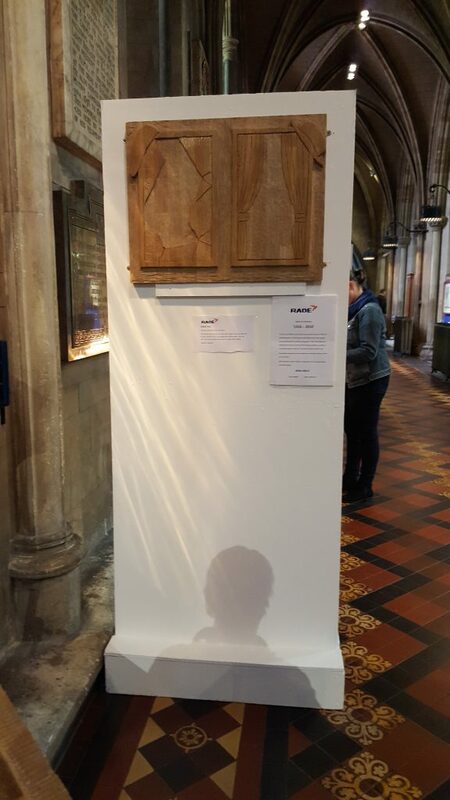 They then carved the symbols in oak. 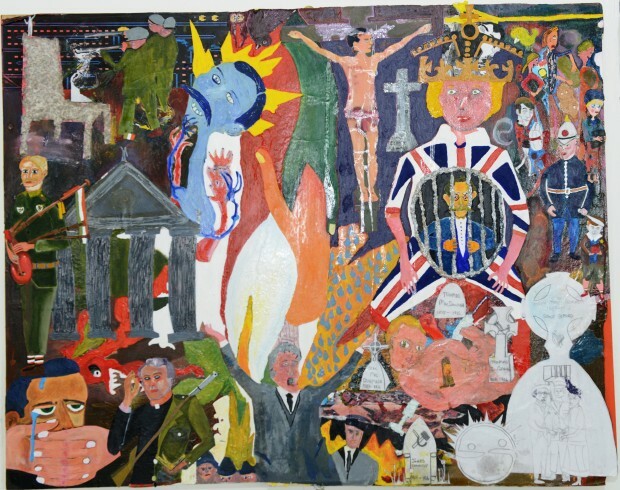 The symbols covered areas such as Homelessness, Education, Poverty, Health Care and Justice. 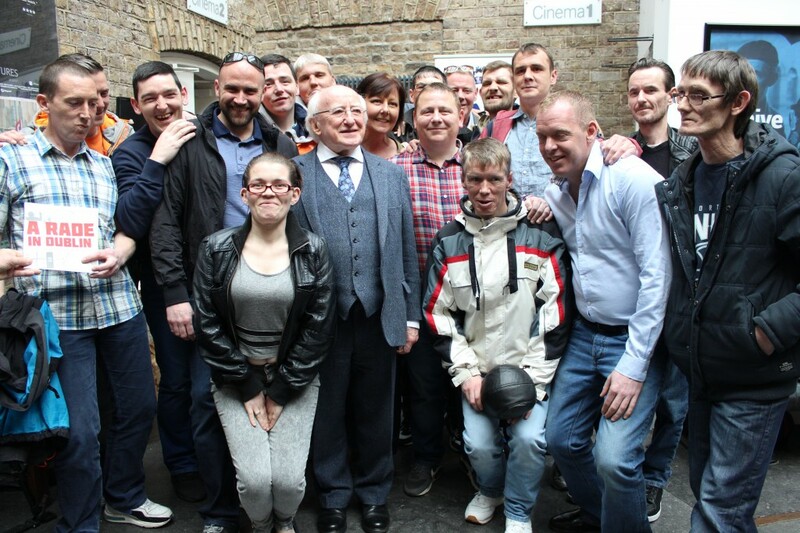 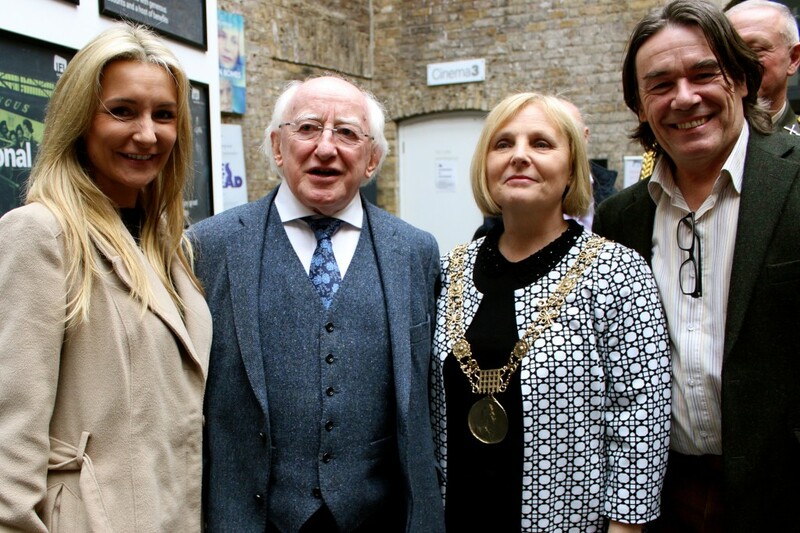 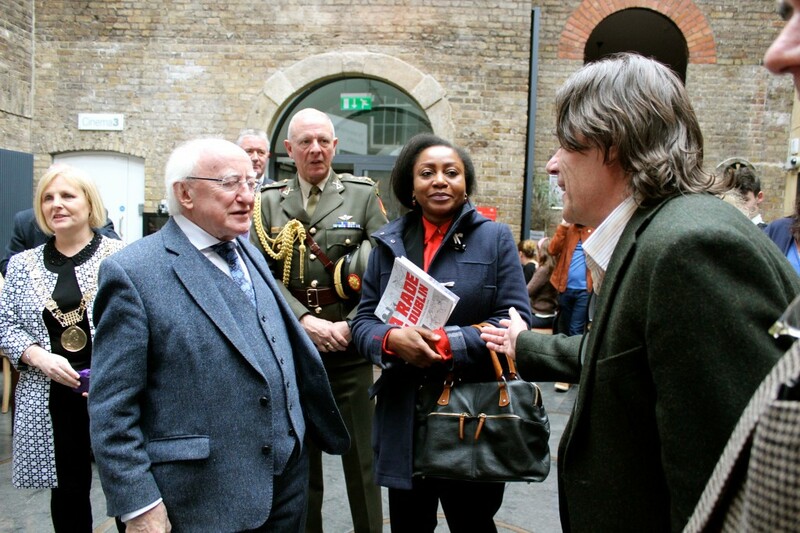 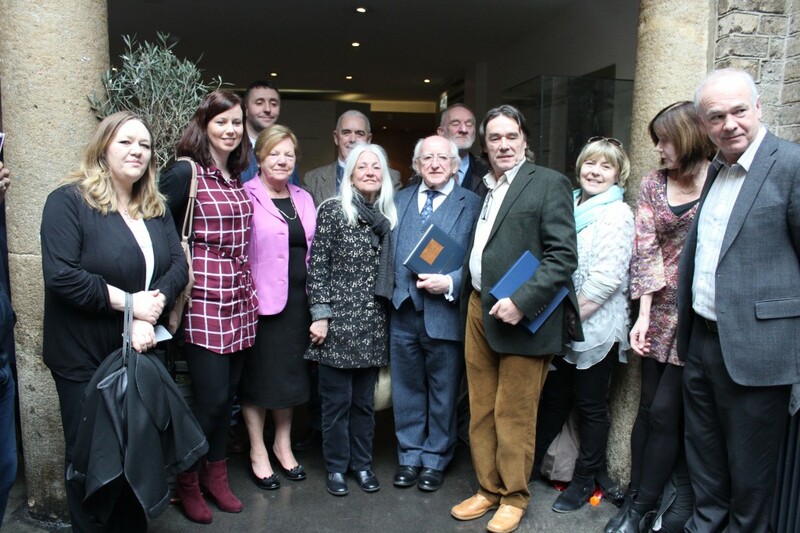 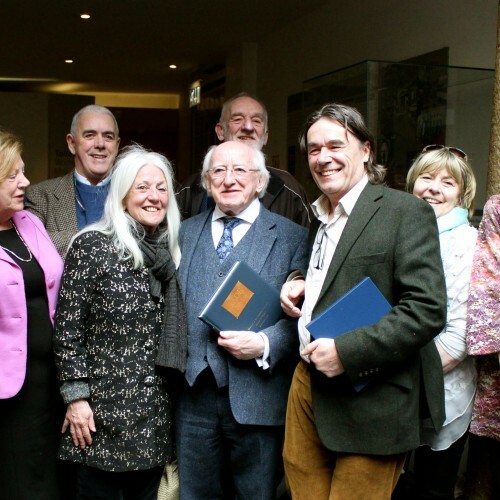 RADE patron and President of Ireland, Michael D. Higgins honoured us by officially launching the documentary RADE Rising and RADE’s comic book A RADE in Dublin on 19th April 2016. 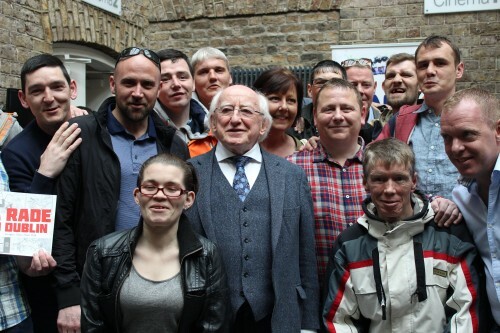 This is the Presidents third visit to the project. The event was attended by present and past participants as well as board members, the Lord Mayor of Dublin Criona Ni Dhalaigh, poet Paula Meehan, Dublin Simon CEO Sam McGuinness and participants from many Dublin projects.